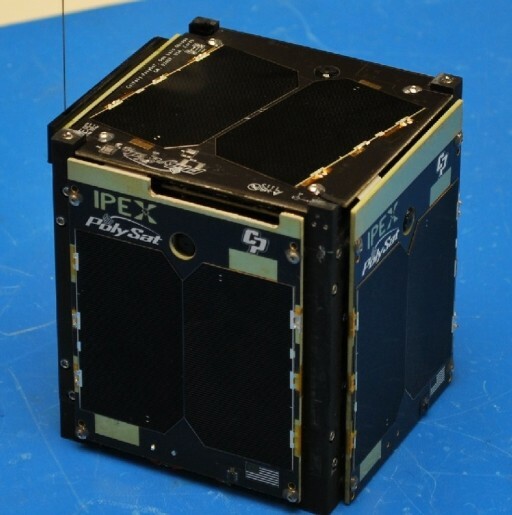 IPEX is a 1-Unit CubeSat that was developed at the Jet Propulsion Laboratory, NASA Goddard and Cal Poly of San Luis Obispo. 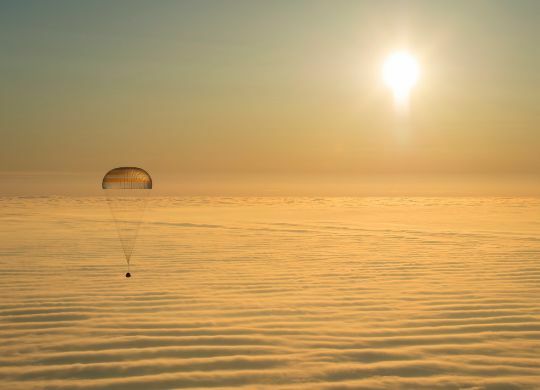 The Intelligent Payload Experiment mission is dedicated to demonstrating the operation of autonomous instrument processing, downlink operations, and ground station operations to validate a reduction in data product downlink. JPL has developed the autonomous flight software called CASPER (Continuous Activity Scheduling Planning Execution and Replanning) and the ground station software ASPEN (Automated Scheduling and Planning Environment). The satellite will demonstrate in-orbit science data acquisition, processing and delivery technologies supporting TRL advancement of the IPM (Intelligent Payload Module). This is done as a pathfinder for the HyspIRI Hyperspectral Infrared Imager and TIR (Thermal Infrared Imager) missions which will acquire a huge amount of data. CASPAR will be autonomously integrating new activity goals into the satellite’s observation plan based on image processing results. Onboard telemetry is also integrated to resolve scheduling conflicts. The ASPEN software on the ground will be used to provide weekly schedules of primary science payload activities such as image acquisition and processing based on candidate algorithms. The radiation tolerant miniaturized space processor that facilitates the on-board operation was designed by NASA Goddard. IPEX uses a 200 MHz Atmel ARM9 CPU with 128 MB of RAM, 512 MB of flash memory, & a 16 GB Micro SD. Linux is used as operating system. The SpaceCube Mini also provides RS-422, SATA and LVDS interfaces for rapid payload integration. The satellite uses body-mounted solar panels and aligned magnets for stabilization in Earth’s magnetic field. 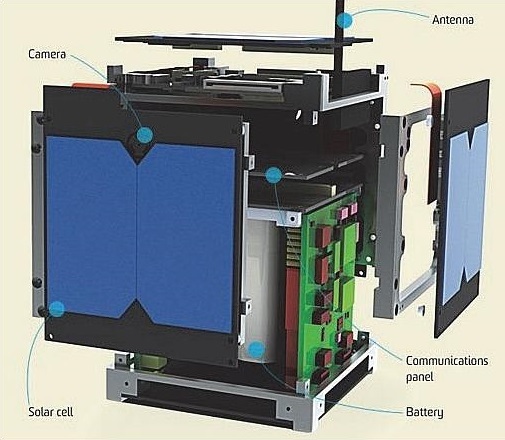 The CubeSat is equipped with four cameras with 2048 by 1536 pixel resolution to acquire Earth imagery with a ground resolution of 20 to 35 meters. Those images will then be processed using pixel mathematics, including normalized difference ratios, band ratios, and similar products. Flooding classifications are based on band ratios, snow and ice cover use band processing wile thermal anomaly detection (volcanoes, fires) use computationally efficient slope analysis of spectral signals. IPEX is not expected to downlink full images, assessment of the onboard processing will be done using algorithm data only. In rare cases will full frames be downlinked using the slow 9.6kbit/s data link.